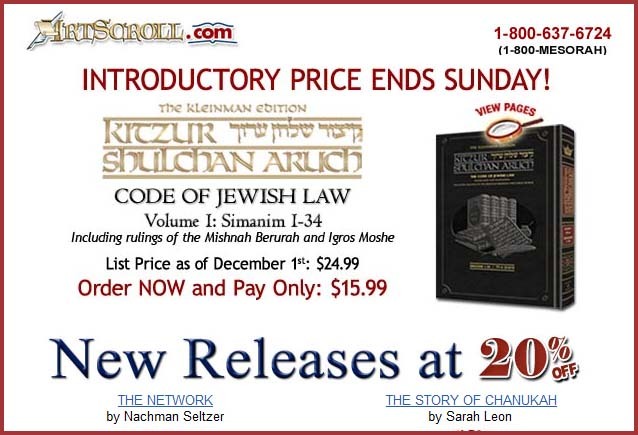 Artscroll Introductory price on Kitzur ends Sunday Plus SAVE 20% on New Releases! Artscroll announces Introductory price on Kitzur ends Sunday Plus SAVE 20% on New Releases! 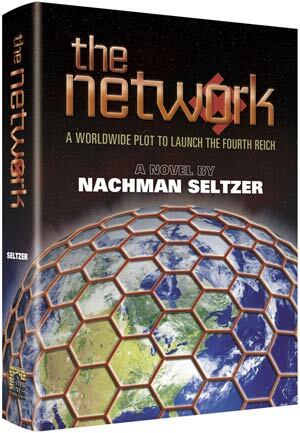 Acclaimed author Nachman Seltzer brings us a riveting story of revenge, destiny, and faith. Spanning four continents and six decades, The Network takes readers on a heart-stopping adventure. 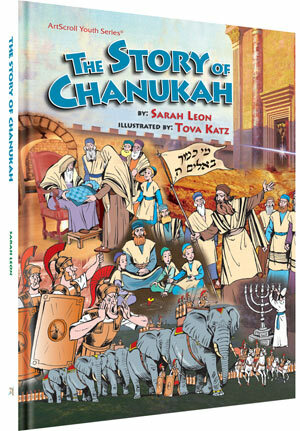 The Story of Chanukah brings this fascinating era of Jewish history to vivid life. Sarah Leon‘s enchanting rhymed text, and Tova Katz‘s innovative pictures, will captivate young readers.